At a cemetery in Texas, murderers and other convicts whose bodies are unclaimed can be interred and, for a few moments, remembered. 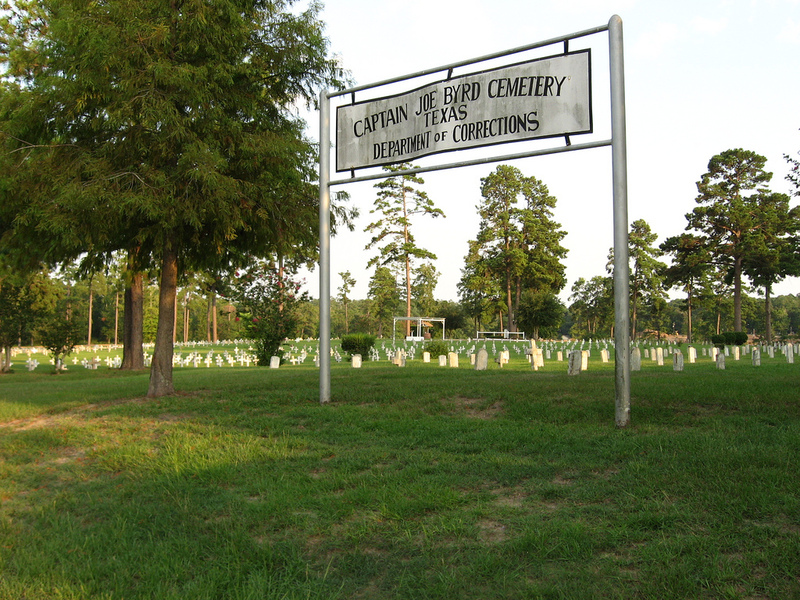 Here’s a really interesting article on the cemetery used by Texas prison officials. These are for the unclaimed dead bodies of convicted prisoners, who are given a burial more respectful than you might expect out of this tough-on-crime state. It reminds me of the post on Hart Island, where New York’s unclaimed dead bodies are buried. I’d like to create an entire map of all unclaimed dead body cemeteries/repositories around the world. Welcome to 2012’s big project. Posted by John in Death + Crime, Death + the Economy, Death + the Law and tagged funerals. Bookmark the permalink. ← Happy Holidays from the Death Reference Desk…don’t tell the kids.